When the radar and camera sensors detect a collision with a vehicle ahead is likely, it alerts the driver and activates pre-crash brake assist when the driver depresses the brake pedal. If it determines a collision is difficult to avoid, the pre-crash brakes and pre-crash seatbelts also operate. LKA alerts the driver with a sensory alert using steering wheel vibration or a buzzer, and on the multi-information display if the system judges the vehicle is about to cross the lane markings without using the turn signals, and assists steering to avoid lane departure. 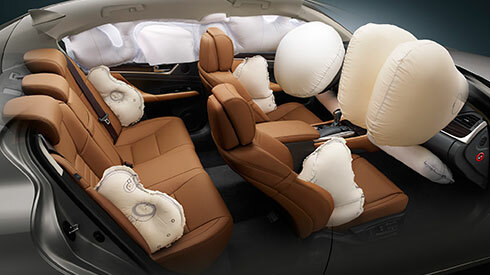 AHB helps safe driving at night by instantly switching from high to low beam when the lights of an oncoming vehicle, or the tail lights of a vehicle in front, are detected. 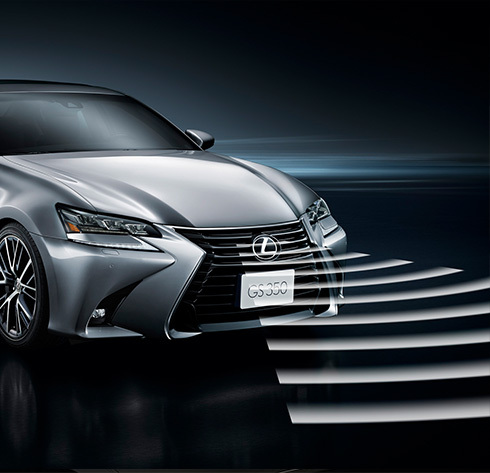 In addition to maintaining a constant speed, Dynamic Radar Cruise Control uses the radar and camera sensors to detect a vehicle driving ahead and maintain an appropriate distance between vehicles at all speeds. Vehicle data such as the current speed, engine rpm and gear shift selection is projected directly onto the windshield in the driver’s field of view. 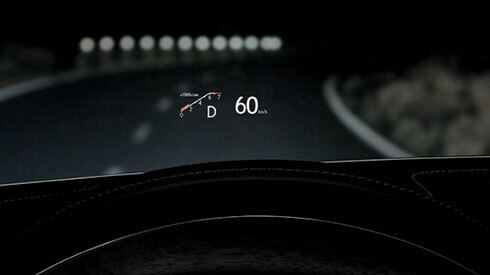 Simplified navigation commands, audio settings or other selected vehicle data can also be viewed in the head-up display. 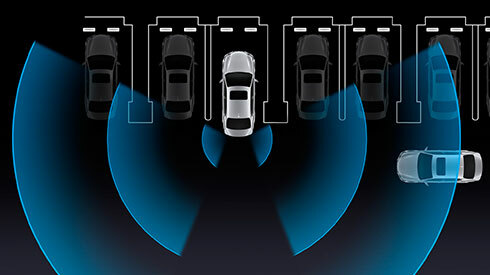 Quasi-millimeter-wave radars mounted in the rear bumper detect vehicles in adjacent lanes that are not visible in the door mirrors. 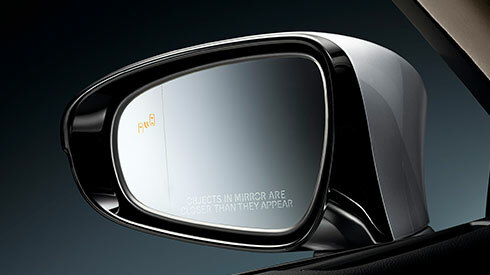 The moment a vehicle enters this blind spot, the driver is warned by an indicator in the relevant door mirror.